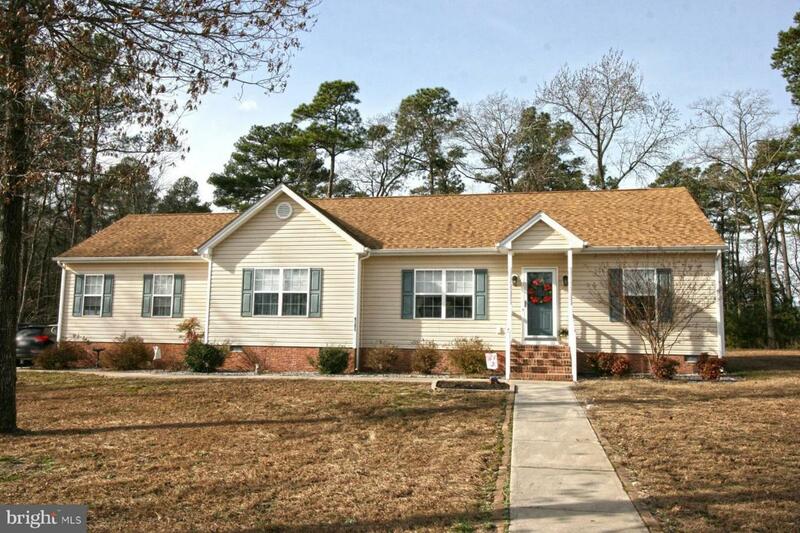 Don't miss this better-than-new, 1-owner home in Delmar School District! 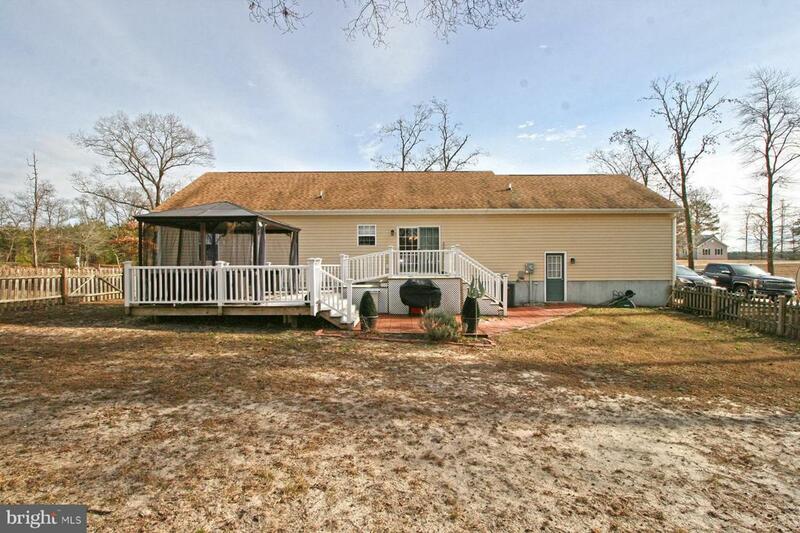 3BR/2BA ranch on 1-acre culdesac lot in conveniently-located Senate Heights, Parsonsburg. Minutes to North Salisbury shopping, quick trip to Ocean City. 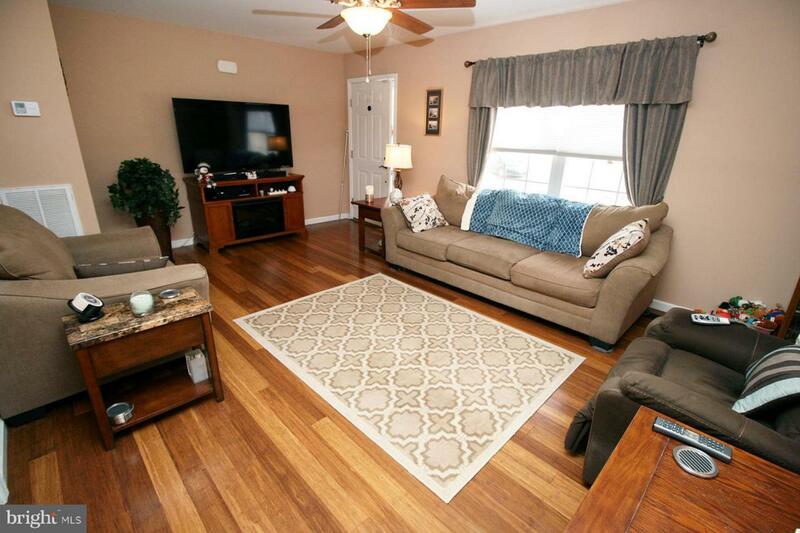 The owners have lovingly and meticulously updated & upgraded the home over the last 8 years: hardwood & vinyl plank flooring, beautiful tile-work, multi-level deck, patio, fencing, walkways, & more! Welcoming living room with warm hardwood flooring. Spacious kitchen w/island, pantry, dining area w/ picture-frame moulding. Split floorplan offers a private master bedroom w/WIC, full, en-suite bath - upgraded with granite countertops, built ins, soaking tub, step-in shower stall. 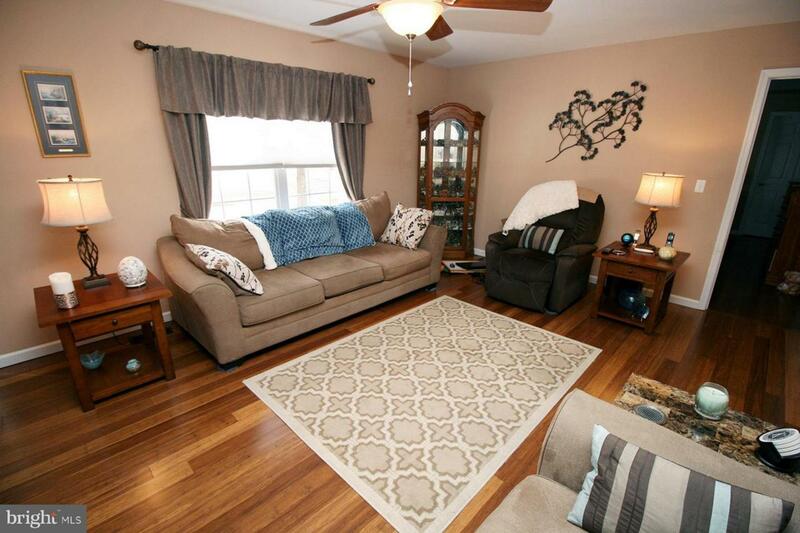 Across the living room are the additional 2 bedrooms w/wood floors, and 2nd full bath w/linen closet in the hallway. Huge floored attic for storage. 16 x 24 garage w/single side load door and built in storage (Garage was designed as a single door front loading, but owners opted for side door for aesthetics) Multi-level deck w/ screen-gazebo & outdoor furniture that conveys, overlooks the fenced rear yard & patio. Oversized concrete driveway and a stoned area for RV parking. Sizes, taxes approximate.